And that statement is completely accurate. 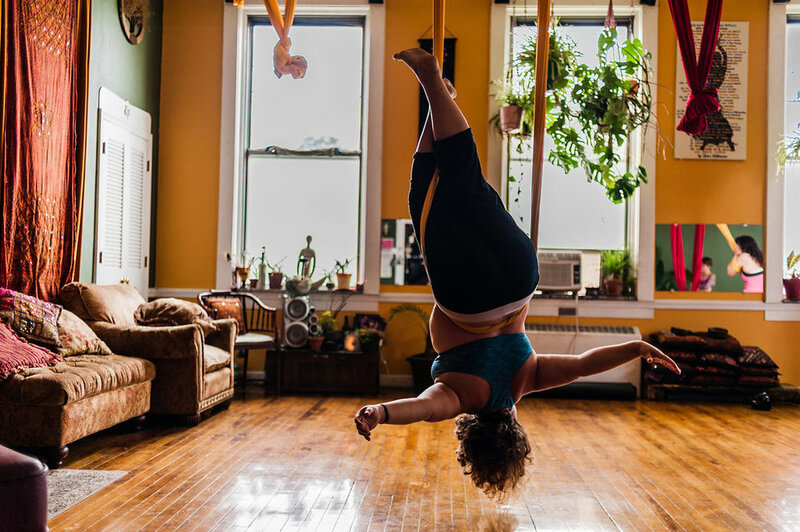 If you look online, most pictures of aerial yoga poses feature tone and fit people. Then today, after being asked the weight question for the millionth time, I decided to face this topic head on and change that. I immediately thought of an article I read before opening my studio called, Making Body Diversity in Aerial Yoga Visible. So I read it again, this time with a different vantage point. My clients are all shapes and sizes and ages, and they all deserve to feel empowered and weightless. So to answer the question, the hammocks are made to support 2,000 lbs. Weight is not the issue, it’s your mind you have to convince. Believe in yourself, make strides to a better you, and for heaven’s sake- love yourself. So now I am asking for your help. 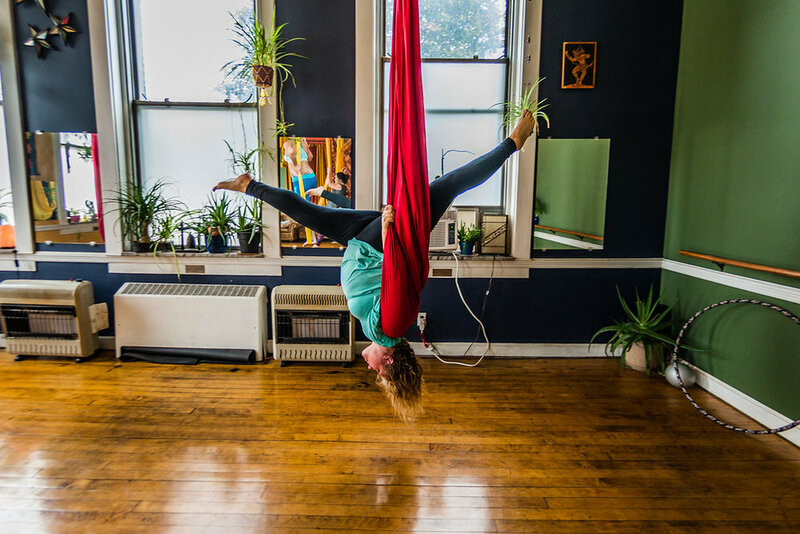 If you'd like to help me enhance body diversity in aerial yoga, let me know. Come to a class and afterward, let's take a photo of you in your favorite pose. Or if you're already a client, email me (erika@hangoutyoga.com) your favorite picture in the sling with permission to share. Who knows, you may even inspire someone else. Just as these women, pictured by Studio N Photography, inspired me.